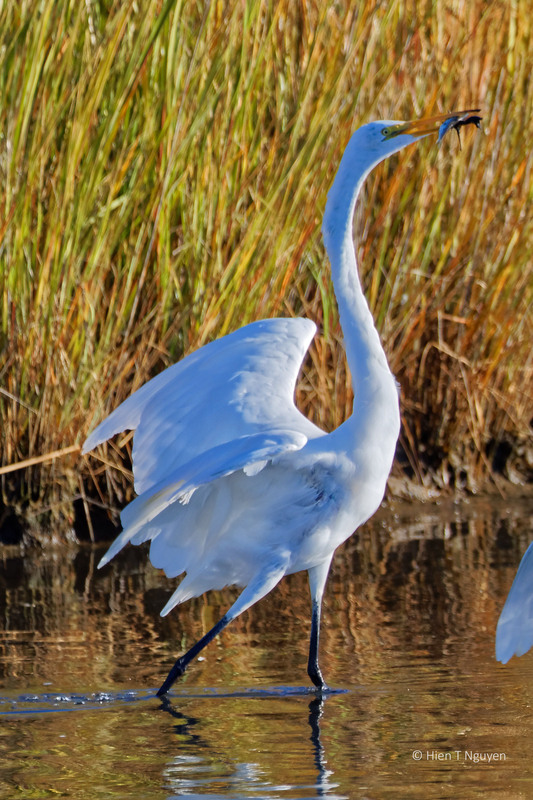 Unlike Great Blue Herons which prefer large fish, Great Egrets stick with smaller ones. The following Great Egrets each caught a small fish as I was photographing them. Looking closer at their photos, did they actually smile at the prospect of more food filling up their stomach? Great Egret with fish it had just caught. 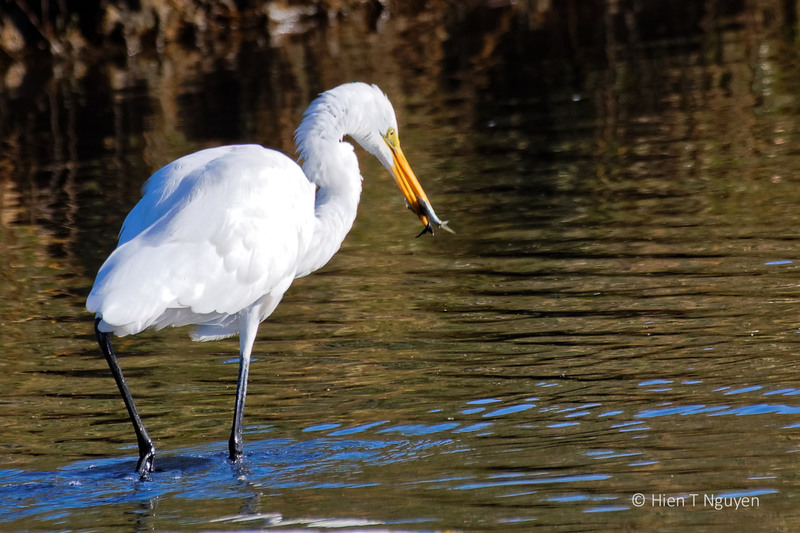 Great Egret with fish: was the egret smiling? That sounds about right, Jerry! Thank you! Exquisite photos, Hien. That first one is really beautiful, the egret looks so regal and victorious too. Thank you Jet! You read its expression perfectly. Fantastic images of these wonderful birds. I love that first photo – such grace! 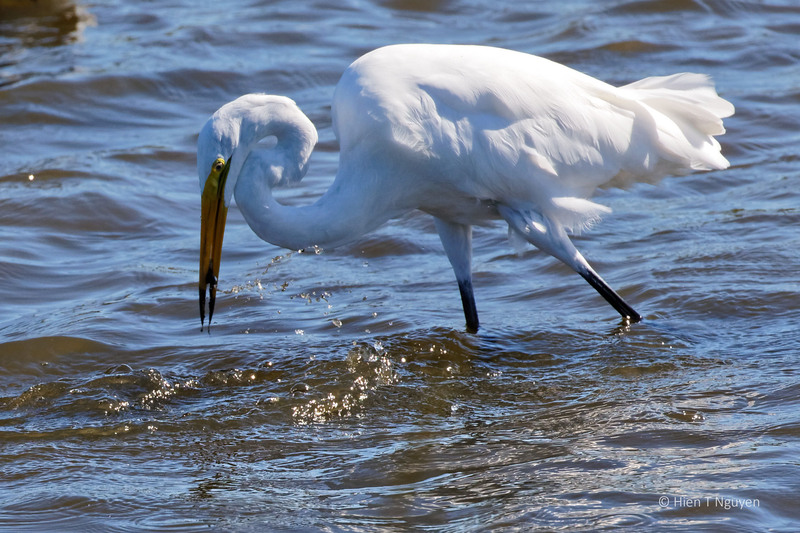 That Great Egret swooped in and plucked that fish out of the water, just like we would pick a flower. Thank you Eliza!